Bind ICM to port 443 | It`s full of stars! To run SAP Portal on the standard web ports 80 and 443 you should use Web Dispatcher. In that case, WD runs on the privileged ports and SAP Portal / NetWeaver Java / ICM continue to run on their usual 5nnXX ports. Changing the ports directly on ICM of NetWeaver is something I cannot recommend, and you should not do it. The super user bit is now set. With this, the executable can now “act” as being root and listen on port 443. The instance profile must now be changed to include the new ICM parameters to bind to port 443 for HTTPS and to use the external program icmbnd for doing that. Note: The parameter exe/icmbnd should not be needed as long as the binary resides in the normal place. I added it here to show how the parameter looks when configured. Restart SAP system: stopsap; startsap. NetWeaver is now listening on port 443. 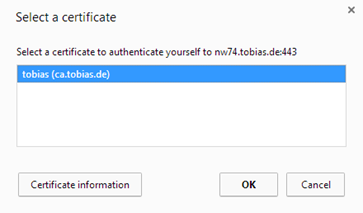 Default configuration is that NetWeaver first asks the client to provide a certificate and if none is given, proceeds with the normal authentication defined in logon profile. This entry was posted in Basis, Portal, SAP and tagged icm, icmbnd, unix, web dispatcher. Bookmark the permalink. I coսldn’t refrаin fгom commenting. Perfectly written!